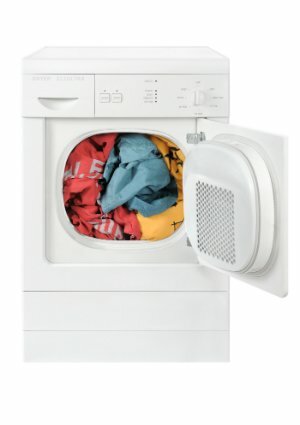 Why Isn’t the Dryer Drying? 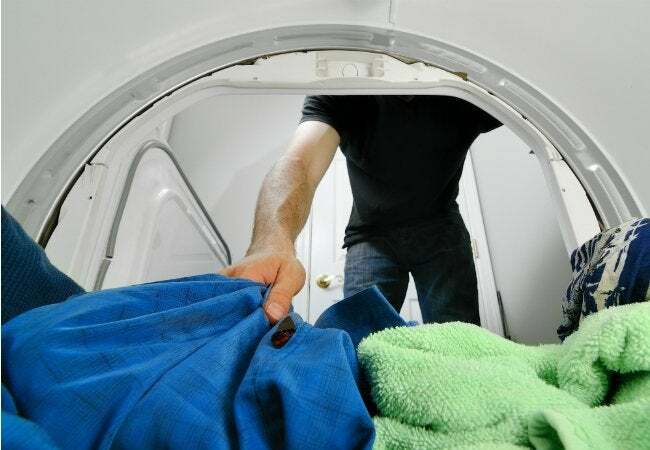 Don't let a lengthy dry time get you down: Check out and tend to these five problem zones to remedy what might be slowing down your appliance, and your schedule. Are you stumped by the fact that your dryer seems to take forever these days? If your clothes dryer needs more time to dry a load now than when you first purchased it, don’t jump to replace the home appliance just yet. There are several common reasons these machines become poky. First, take a peek at these five possible problem areas that could be messing with your dryer’s efficiency. 1. Check the lint filter. The filter is the first line of defense against fabric lint, dust, and hair. Sure, you’ve heard this before, but you really do need to empty the dryer’s lint filter after every load. Some types of clothing—socks, especially—shed more than others. But no matter the load, getting into the habit of wiping the filter out after every wash and dry will put you ahead of the game. 2. Inspect where the dryer vent exits the house. When the dryer’s running, there should be a steady, unhindered stream of warm air passing through the vent exit. If you have mesh screening stretched across it, you’d do well to remove the mesh, which can catch lint and obstruct airflow. Instead, install a proper louvered door that opens only when the dryer’s running. You can purchase one at your local home center. 3. Clean the inner reaches of the vent. If the lint filter and the exit of the vent are clear, you probably need to clean the inner reaches of the vent. This cleaning job isn’t that big a chore, especially if you use one of the widely available kits made for this express purpose. The U.S. Consumer Product Safety Commission recommends wiping the innards out at least once per year. 4. If possible, shorten the exit. Keep in mind that the exit vent on your dryer should be as straight and as short as possible. If the air exiting the dryer has to be pushed too far or make its way around kinks or sags in the hose, drying times can significantly lengthen. That’s not only a nuisance, but it’s also a waste of energy (and money). If you can, consider moving your dryer to a position that allows for a shorter hose. 5. Tape all joints in the dryer vent. Duct tape can and will melt when exposed to heat. And while screws and rivets usually make good fasteners, they’re sure to snag lint if they’re holding together joints in dryer vents—avoid using them. An important word of caution: If you’re using one of those exit hoses that looks like a Slinky covered with vinyl, replace it. Now. Choose a foil-type hose or, even better, an aluminum flexible duct. A ridged, Slinky-like tube can more easily trap lint, and a buildup can lead to overheating. Since vynil is flammable, you could have a lot more to worry about than poky dryer. While problems with exit vents aren’t the only factors that can cause your dryer to take forever, they’re by far the most common. Scope out these issues before you ring the repair folks, and you might just save yourself the price of an expensive service call.